If you enjoy landscape photography, especially snowy landscape photography, why not try and get a shot with a different perspective like this one from dan_discovers? 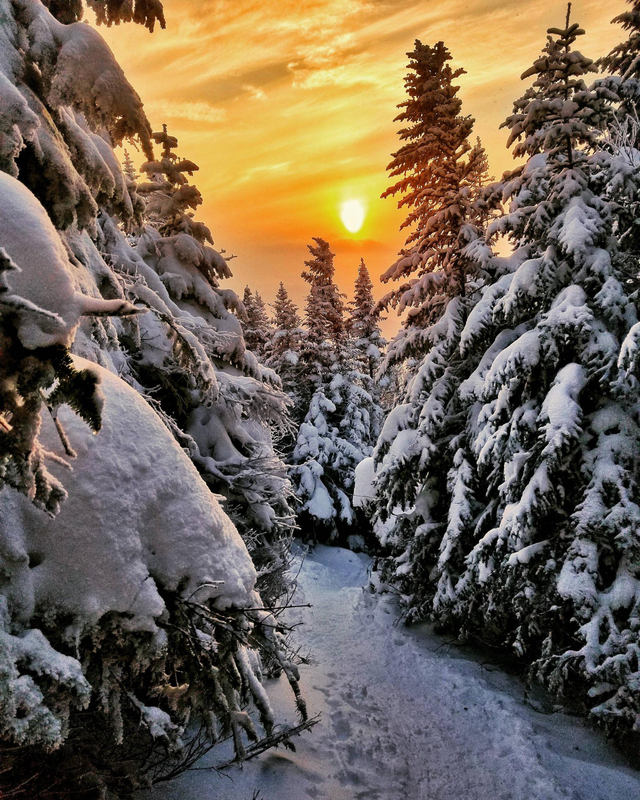 Dan took this spectacular image on the descent from Giant of the Valley in the Adirondacks on the trail at the beginning of sunset. Rather than go for the usual wide-open vista of the snowy landscape, Dan chose to concentrate on a small part of the scene instead, and it really works. The sunset colors are amazing, and the framing of the snow-covered trees provides great contrast. Dan says he prefers to go there in winter, as he thinks it’s much prettier, and it isn’t as crowded as it is in fall, when lots of people go to see the foliage turning color. The hike to the summit was a long and arduous one, says Dan, but I think it was well worth it to catch an image like this. Giant of the Valley: I take my hat off to Dan! Great shot, AND, the pain and labour that must have gone into it.